A personalized journey for each individual customer? You heard it right! This September at DMEXCO we will introduce our Customer Journey Builder to the general public for the first time. Sounds interesting? Schedule a meeting at the bottom of this page for your personal live demo session! A drag and drop canvas to create a personalized journey for every customer. Customer Journey Builder uses all features available to you in our DMP and helps you decide what should happen and where it should happen for which person. Add and remove people from audiences. Show personalized banners using product recommendations. Drag actions onto your canvas and your desired action will be executed at the right moment. The official launch of Squeezely Journey Builder will be staged at DMEXCO 2018 in Cologne, Germany. Are you visiting DMEXCO? We would love to show you what Journey Builder can do for you. At the bottom of this article you can book a meeting with the Squeezely Team at our booth C66 in Hall 7. Squeezely DMP offers easy to use tools for agencies and inhouse teams to unify data sources and create a personalized approach for each customer. Need to manage your audiences across different platforms? Audience builder makes it effortless! 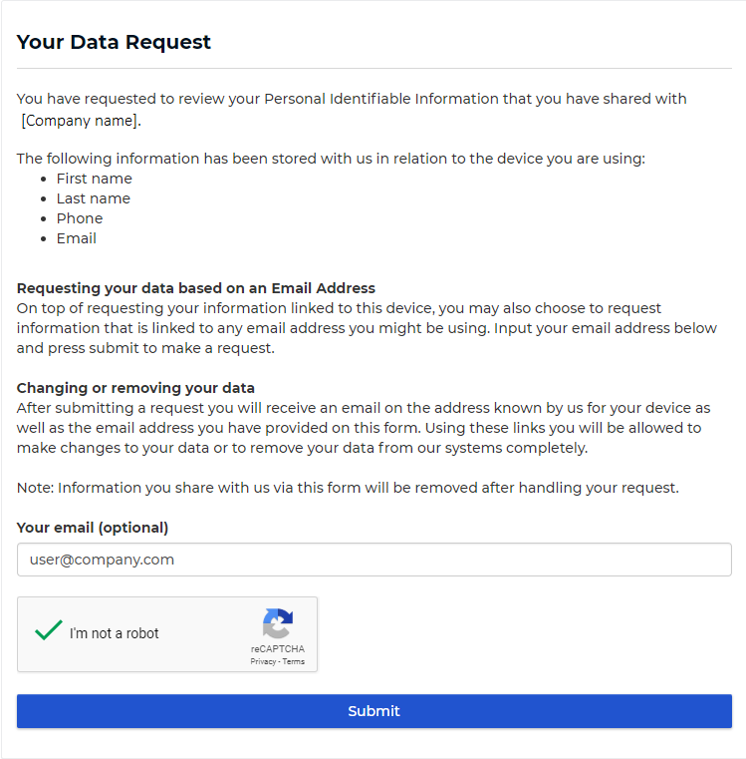 An important part of your data strategy is consent management and compliance. Squeezely DMP equips you with all you need to give your customers control over the data they share, even after they have shared it with you. 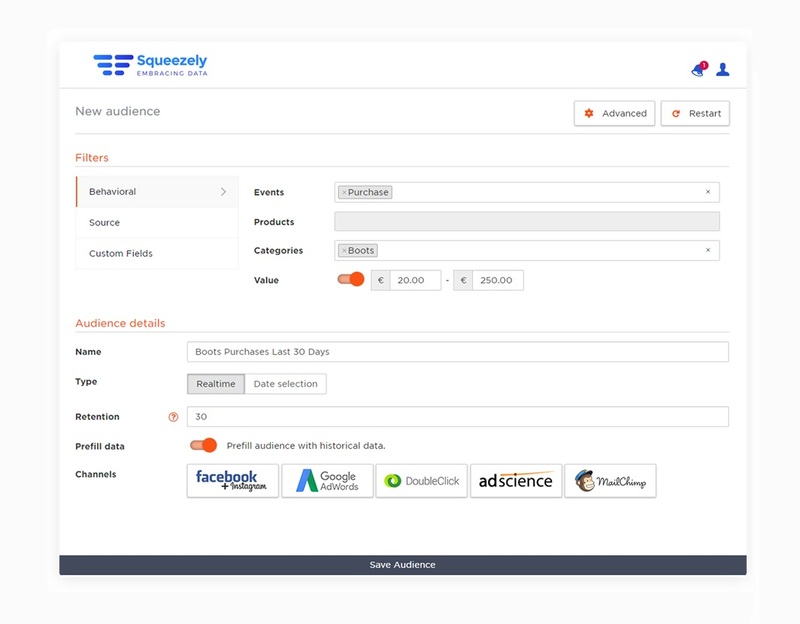 Squeezely AI driven product recommendations help you send personalized messaging to your audiences, regardless of the channel. 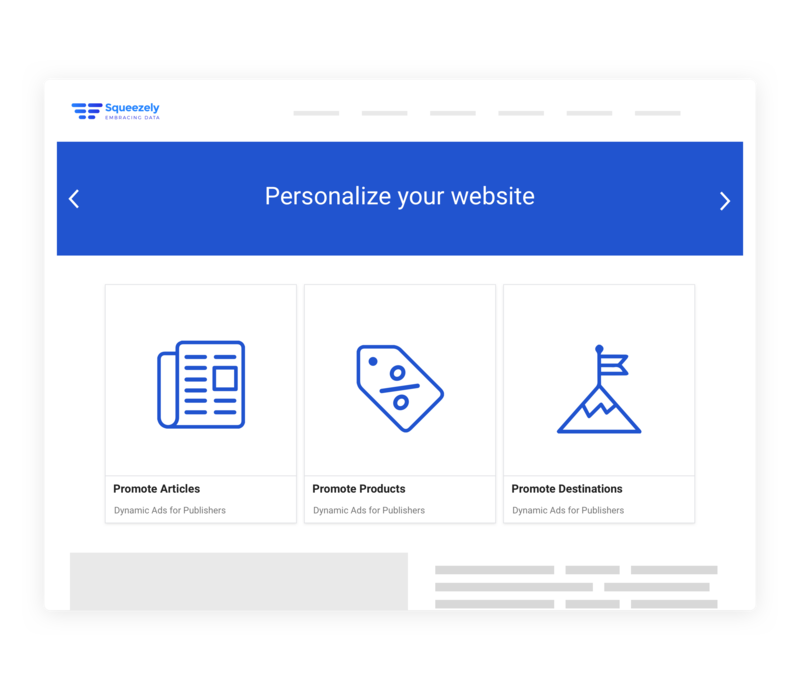 Build personalized landing pages using your audience and product information. No more difficulties in keeping up with all your campaigns. Squeezely analytics has the answers you are looking for. 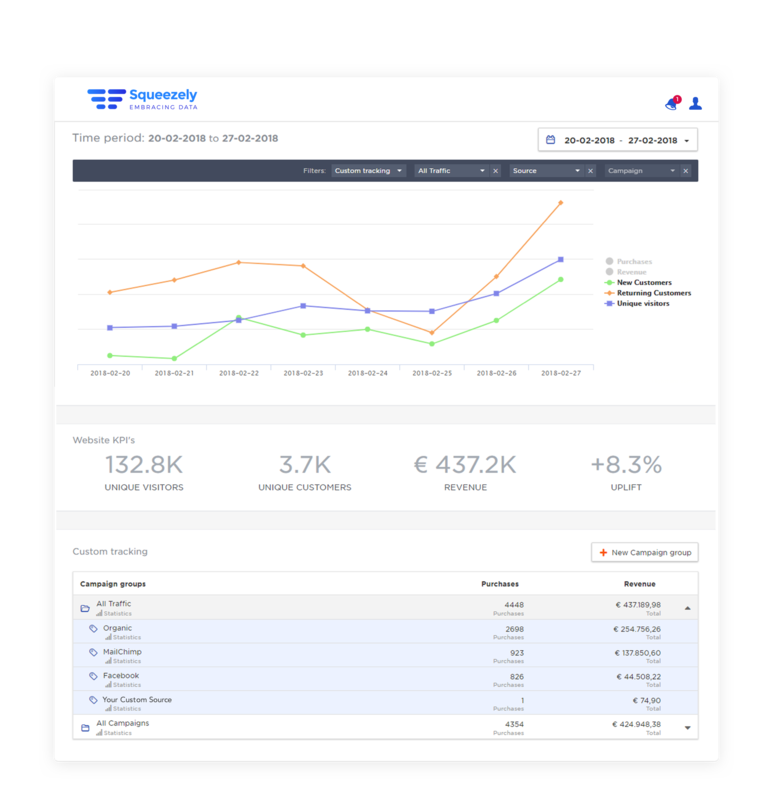 Want know more about Customer Journey Builder or the Squeezely Platform? Not at DMEXCO? Request an online demo on our homepage.